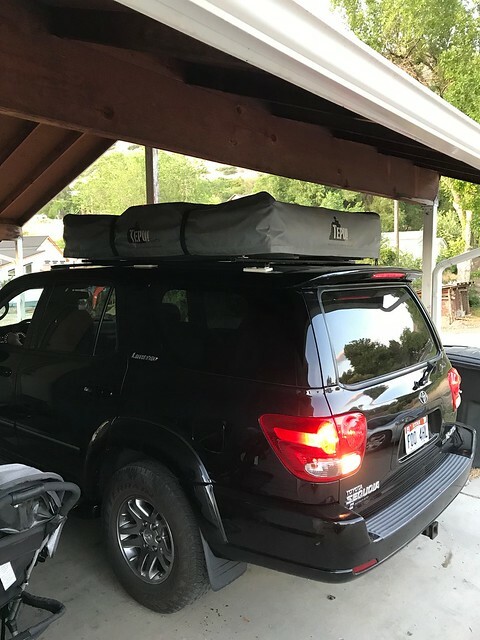 After 12 years with various 4Runners, I've made the big move up to a Sequoia. Picked this up last week and I'm loving all of the room and the V8. We currently have two kids, but plan to have a couple more so we decided now was the time to find something that could fit everyone. My wife had been on a minivan kick, but after test driving an Odyssey and then this Sequoia, she changed her mind immediately. I'll probably try to enjoy it as is for a little while before letting the mod bug take effect, but from what I've seen they're very capable in stock form. 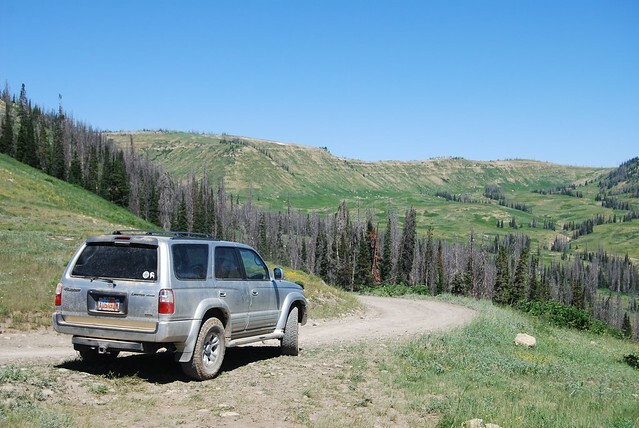 I don't plan on doing anything too serious, mostly just back roads and some moderate trails for camping. Any advice on modifications (mainly mild lift and slider options) or maintenance I should look into right now would be great. 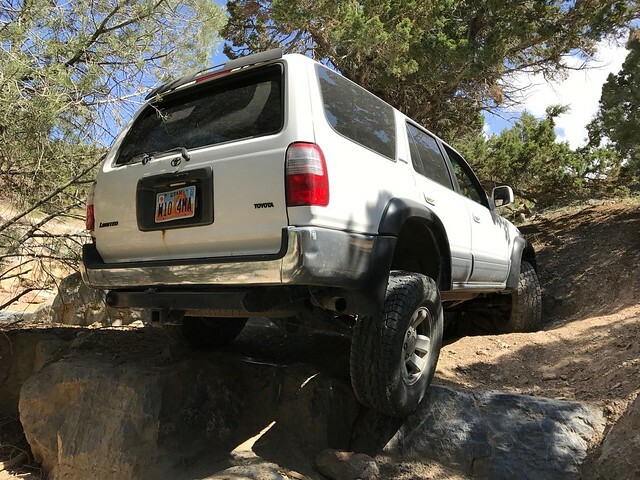 Here are some pictures of past vehicles/adventures. The 96 just needs to be cleaned up before sellling. Nice looking tree! 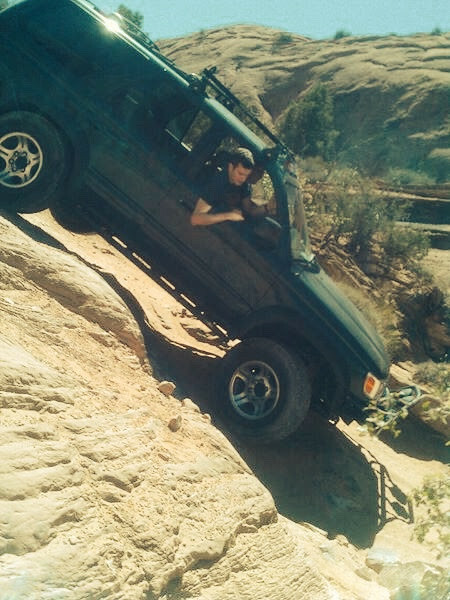 There aren't a ton of lift options which is good or bad depending on how you look at it. Take a look at some other build threads and you'll get an idea pretty quick of what the popular options are. 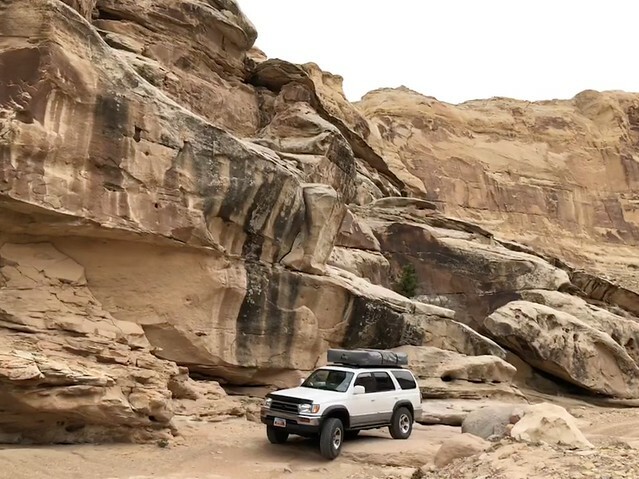 Bilstein 5100's up front set to the amount of lift you want and then just adjust the sensor for the rear air springs to your liking is real popular and sounds like it might fit your needs. As for maintenance... just the routine stuff. Nothing alarming. Enjoy it! 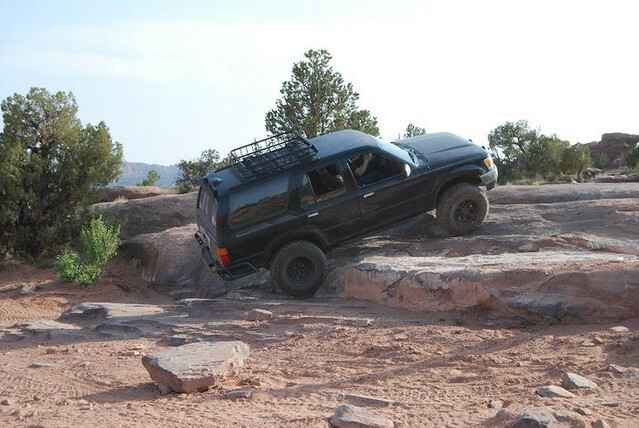 Lower ball joints are critical on the Sequoia, as well. Owning a 3gen T4R, i assume you know all about it. I used to have a 3rd gen T4R as well and am familiar with the LBJ issues on those. 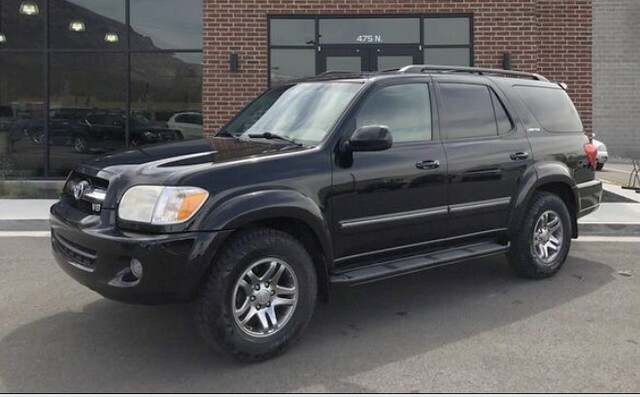 Did all years of the 1st gen Sequoia have the same issues? I thought I'd read somewhere that the 05-07 had the issue addressed from the factory? I noticed on the maintenance records on mine that at around 30k miles the dealer replaced the lower ball joints. I don't know if this was to fix a known issue or if it was done for some other reason. it was addressed...with bigger ball joints. However, the same inherent design pitfalls exist. Just need to exercise the same due diligence regarding the LBJ and only source from reputable sources. Thanks for the info. Time to check mine out. OK sorry for the hijack! Back to the build thread! 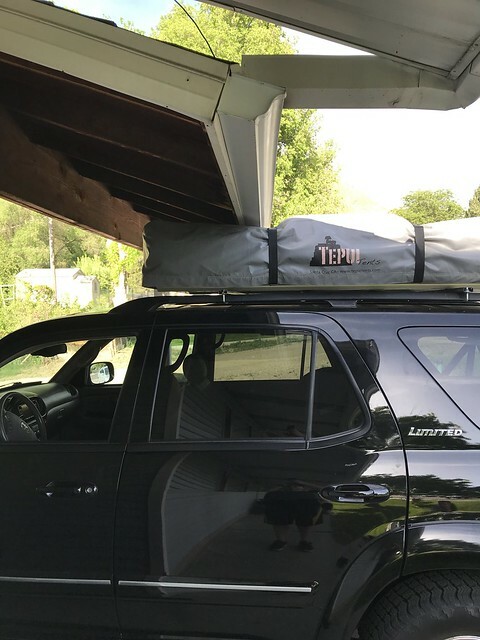 I've been trying to figure out how to mount our RTT and after some research decided to put the existing strut on the stock roof rails (not the crossbars). I know some people have issues with using stock rails, but they're bolted to the roof with a dynamic weight limit of 160 pounds, ~500 with the tent in use should be well within the static capacity. 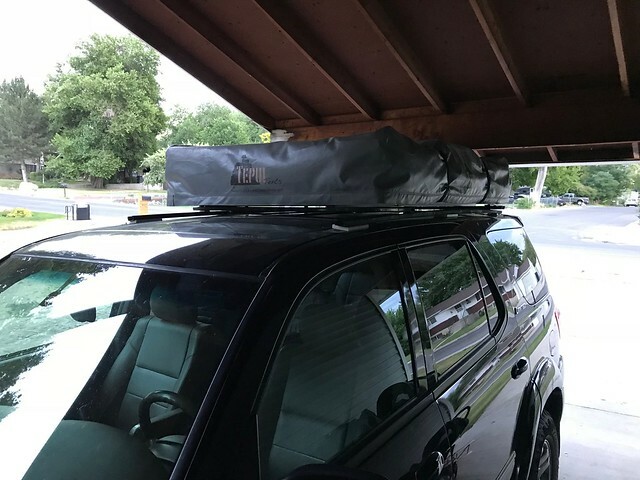 It was only after I got the strut crossbars on that I realized I had a problem...it doesn't clear the carport roof by about 3 inches. So my new idea is to remove all of the stock hardware, cut some ABS feet per Sal's roof rack build, but then bolt the strut through the plastic feet to the roof and then use more strut for crossbars. That way I can keep it low and pretty cheap. They're just 265/70s, so just a hair over stock. I haven't modified the suspension at all. 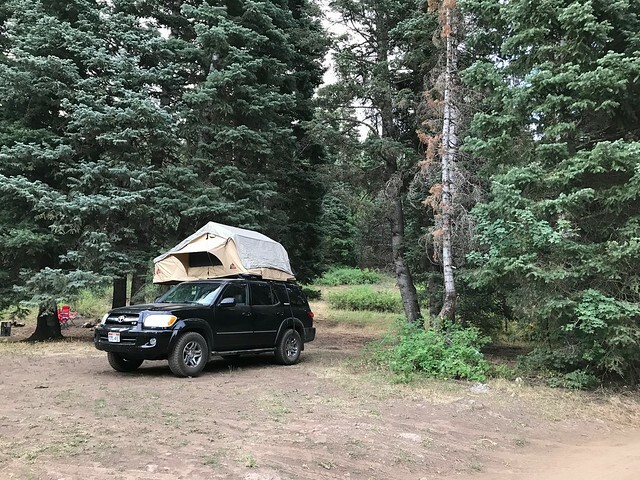 I ended up getting the roof top tent on. Left the OEM rubber feet on, cut some 1/2" ABS plastic on and then put strut on top of that. Everything is secured to the roof with the stock mounting holes. I had a ton of wind noise, so I took a bungee cord and wrapped it around the front crossbar and it disrupts the wind enough that the noise was reduced probably 90%. I'll still probably put a wind fairing on at some point. Now I'm just dealing with a P0308 code, VSC TRAC and VSC OFF lights on the dash. I tried switching the coil packs with another cylinder and it came back on the same cylinder. I'm hoping it's just the plug and not an injector or something. Didn’t want to modify the carport eh? Haha. I just bought a black 06 as well. Thinking about doing a 2” strut spacer and 275/70s. Would like a lift but I can’t really justify it (dont off road much anymore)... that tent looks good!